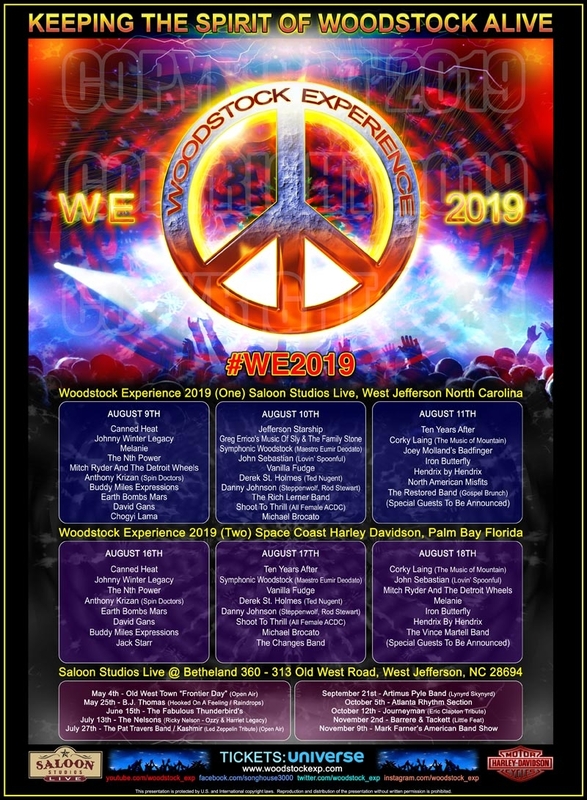 Celebrate the 50th anniversary of Woodstock with the Woodstock Experience 2019 at Saloon Studios Live: a full weekend of legendary live music set in the peaceful tranquility of beautiful Ashe County. This all-inclusive retreat is THE ULTIMATE Woodstock Experience, featuring Woodstock ‘69 performers including Melanie, Jefferson Starship, Canned Heat, Vanilla Fudge, and many more! Break bread with the artists as we celebrate together. 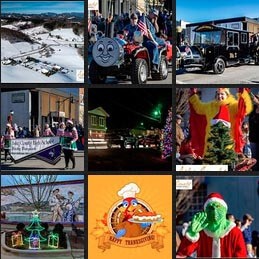 Don’t miss out on the chance of a lifetime—book your spot now!